UPDATED NEW QUOTE BY ULDIS SPROGIS 1213!!! This entry was posted in common sense and tagged arguments, common sense, conversation, discussion, improvement, language, quotes, truth, wisdom, wise sayings, words on August 10, 2018 by uldissprogis. 16 POSSIBLE SOURCES OF UNHAPPINESS AT WORK!!! The basic sources for unhappiness are a difficult job, bad management, bad coworkers, and bad personal work and coping skills. Here in more detail I outline things which can cause you to be unhappy. If you compare yourself to coworkers and find out that they are smarter than you, get more work done, have a better relationship with the boss, have a happier family life, do more exciting or interesting things away from work, have a new car or bigger house, and travel a lot then you might begin to feel inadequate and the comparison can begin to become a source of dissatisfaction and unhappiness for you. If you try to imitate them then you may get into debt up to your neck and then you will really have a reason to be unhappy. Comparisons can be a source for happiness and pride in oneself if you are better than your coworkers but if not then comparisons are very frustrating and can cause much unhappiness. Obsessing over things which you can’t control. If you worry too much about a failing company because of outdated practices or bad management or worry too much about bad coworkers making your life miserable then you will be unhappy. You can’t control company policy nor bad workers so don’t obsess about it and make your life unhappy. Instead start preparing or looking for a better job elsewhere. Overcommiting yourself or your team. Making promises above and beyond the call of duty which you or your team can’t fulfill will often result in failure and disappointment which will definitely be a source of unhappiness. Making excuses for mistakes and failure. You may blame a mistake or failure on insufficient time, too hard a task, bad advice or interference from coworkers, and problems at home and not try to avoid making the mistake or failing again a second time. Trying to avoid responsibility for your own failed actions will be a source of ongoing unhappiness. A boss or coworker may greatly offend you with insults, put downs, name calling, humiliation, and ridicule once in a while. If you can change this then take action and if not it is best to try and forgive and forget instead of wallowing in hatred wasting time, energy, and health while feeling unhappy. Wallowing in past mistakes and wrongs. Spending too much time thinking about past mistakes and wrongs inflicted on you will make you unhappy. Instead try to learn from your mistakes and wrongs inflicted on you and move forward with courageous optimism trying to avoid a repetition of a bad past. Trying to “win” every argument. Trying to win every argument is unrealistically trying to show that you are never wrong. It is best not to argue in the first place which is a primitive way of forcing your opinion on someone. Give in sometimes and concentrate on what is to be done next rather than doggedly standing your ground and both feeling unhappy about the circumstance. Wasting precious time and energy on malice and gossip. Sometimes unkind and untrue rumors are spread about a human. Ask yourself how you would feel if the same gossip was spread about you. More importantly find out if the doubtful rumor is true before you spread it further because your honest reputation will suffer and it will be a source of future unhappiness if it is not true. Worrying what others think of you. If you have integrity then there is no reason why you should worry if others think less of you and feel unhappy about it. You can’t change their thoughts and frankly it is not your business to read other human minds in the first place. Blaming others or your job for your unhappiness. If you feel you have a bad job and/or bad coworkers who are making you unhappy then make the best of it and start preparing for or looking for a better job. Ultimately you are making yourself unhappy because you should be in charge of your emotions. Dissatisfaction with a working environment need not make you unhappy if you don’t let it. A messy work area means less efficient work ability causing wasted time looking for misplaced paperwork and objects which can be a source for some unhappiness. Not taking time to daydream, relax, exercise in place, snack, or meditate on the job. Nothing is more stressful on the mind and body with possible premature burnout than working feverishly without taking any breaks. The bad emotional and physical effects of overworking can make you very unhappy. Not getting enough revitalizing sleep. If you don’t get enough sleep at night your tiredness will adversely affect your work performance the next day and can cause much unhappiness with more mistakes and failure than usual. Procrastination may mean not meeting a deadline or making mistakes and failing trying to rush a task in the last few hours or minutes. Bad work results can mean much unhappiness and being labeled as being lazy. Some tasks are more important than others and should be done first. Not properly prioritizing tasks means less efficient working resulting in bad performance and much complaining from management which will make you unhappy. Being rude, arrogant, mean, deceitful, and disrespectful. These are just some of the many personality flaws which you may have which will destroy good relationships with coworkers and may eventually get you fired by management causing great unhappiness either way. This entry was posted in business, common sense and tagged arguments, business, common sense, comparisons, failure, mistakes, overcommitment, work on June 6, 2016 by uldissprogis. UPDATED NEW QUOTE BY ULDIS SPROGIS 149!!! This entry was posted in common sense, education, science, society and tagged anger, arguments, common sense, education, human nature, knowledge, quotes, relationships, science, society, truth, wisdom, wise sayings on February 23, 2016 by uldissprogis. 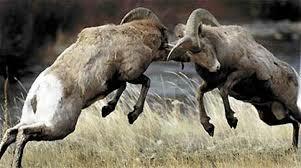 Family quarrels are sometimes common and most do not result in continuing resentment or permanently hurt feelings. Quarrels are transient arguments if the relationships are basically good and humans agree with each other most of the time. If the relationship is strained or dysfunctional then quarreling only makes the situation worse in the long duration. As a general rule the fewer quarrels the better the relationship and if arguing can be replaced with much more discussion then the relationship benefits enormously. If you liked this evergreen truth blog then read more of them, about 1800 so far, or read one or more of my evergreen truth books, especially COMMON SENSE, rays of truth in a human world filled with myths and deceptions. This entry was posted in common sense, education, science, society and tagged angry, arguments, common sense, conflict, disagreements, education, hurt feelings, language, quarrel, science, society, the truth about quarrel, words on July 16, 2015 by uldissprogis. There should be no “logical” ARGUMENTS filled with emotional bias but they should rather be “logical” DISCUSSIONS with as little emotion as possible expressed during the exchange of propositions and conclusions or judgments. An argument or attack on someone’s opinions mimics the violence of physical conflict where any tactic is acceptable as long as you come out the winner and not loser. The winner take all and the loser is left with nothing mentality must be absent from any “logical” discussion and the end result may actually not be certainty but a probability of one or more conclusions or judgments or no conclusions or judgments at all. The domain of logical thinking is an attempt at establishing objective cause and effect relationships which science excels in because of mathematics. Without the use of mathematics or merely using statistical probabilities, propositions and conclusions or causes and effects can’t be proved conclusively because they frequently can’t be repeated experimentally in the lab with identical results. WHAT are we discussing logically? Is it possible to discuss everything logically or does logic have its limitations in everyday usage since so few humans think logically in the subjective emotionally biased liberal arts world which we are living in. The best logical usage is with objectivity and it is highly improbable that you will come up with an agreed upon logical conclusion or judgement discussing strongly held subjective emotionally biased opinions or beliefs. There are errors in accurate reasoning or logic which should be avoided as much as possible. If you are arguing then making these reasoning errors will sometimes increase the probability that the argument will increase in emotional intensity and get very angry. Here is a list of 9 discussion and/or argument errors or 9 don’t dos. Don’t attack a human’s character and only discuss a character flaw if it seems to be the primary reason for the discussion and/or problem to be solved. Don’t misrepresent and/or exaggerate the opposing opinion hoping to make it easier to refute by intentionally and unjustly trying to make it less believable. Don’t use subsets to represent the set. Don’t always assume that just because something occurred before in time then it must always be the cause. Don’t always insist that your conclusion and/or judgement is the only one possibility even though that is frequently your goal or desire. Don’t ask the human with the opposing opinion to do your convincing responsibility for you which is erroneously called the burden of proof because you are really not proving anything but merely trying to persuade with plausible reasons and/or communications. Don’t assume a cause and effect relationship unless there is a probable logical connection or correspondence between them based on some historical precedence or experience. New cause effect discoveries in human behavior are highly improbable. Don’t automatically assume that the popularity of the proposition and conclusion or the opinion makes it true. Don’t always assume that an authority figure is infallible or has or is always communicating truthful facts or opinions. If it is a respected and truthful authority figure based on prior experience most of the time then don’t question everything and every time he or she says something, especially on unimportant matters. This entry was posted in common sense, education, science, society and tagged arguments, common sense, conclusions, discussion, education, judgments, logic, opinions, probabilities, reasoning, science, society on April 15, 2015 by uldissprogis. The most common form of confrontation is a very intense argument where each side tries to win with their dominant belief, opinion and/or desire. Compromise is seldom considered as an option and it can even erupt into physical violence. Bar brawls are an example of confrontational arguments leading to physical violence and some protests which start out as relatively peaceful confrontations can degenerate into violence against the police or against opposing demonstrators. Some confrontations between hostile nations can also lead to violence and if it weren’t for mutually assured nuclear destruction, violent wars or military conflict would be more frequent than it is today. As long as there are unyielding religious dogmas and unyielding tyrannical governments there will be arguments about ideology and political correctness. Confrontations leading to violence in some form are the inevitable result in this world on into the foreseeable future. Where compromise is impossible confrontation is inevitable. The classic confrontation is the threat of violence if you don’t give up your wallet in a stickup. Extortion is also a confrontation which can convince you to behave illegally or give up a possession. Most confrontations these days are very intense emotional arguments which sometimes escalate into violent action or assault. Abused women and men are frequently examples of violent confrontations. A difficult situation is one where the husband beats a financially dependent wife with offspring and she fears getting a divorce because of threats to kill her if she does. Divorcing and going on welfare with a cease and desist order is frequently the only escape when the violence becomes truly intolerable or unbearable. Other severe confrontations are when there is an addict on alcohol, drugs, or gambling and they insist that they don’t have a problem but can function in this world without problems. Unless the addict loses their job, gets involved in a serious accident, or can’t pay the bills there is probably no hope of convincing them that they have a problem which needs action or a solution such as getting off the addiction. 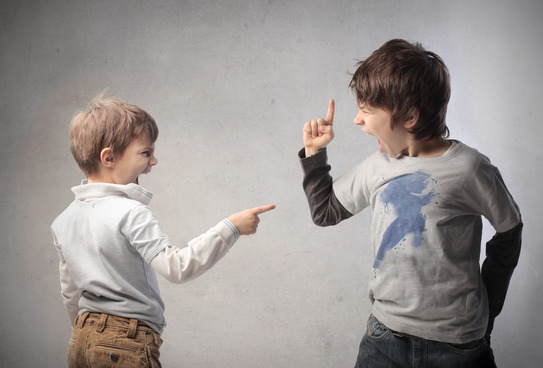 Confrontations where both sides have opposing die hard opinions or beliefs are almost impossible to change and you can get therapists or friends to help you trying to convince someone that they are wrong or behaving badly. If social pressure and a logical approach doesn’t help then unfortunately you may be forced to ignore or avoid the strong opinion or belief and perhaps even avoid the human if they are not your spouse. If you sense a very intense emotional attachment to an opinion or belief then verbal confrontations are best avoided especially where the subjects may be politics, religion, or sports and they are things which you really can’t change and need not affect your personal relationships if you don’t want them to. If you can’t turn a confrontation into a calm discussion then empathize with the viewpoint, say that you understand where they are coming from, and express the thought that you have a right to disagree, live and let live. If you liked this evergreen truth blog then read more of them, about 1100 so far, or read one or more of my evergreen truth books, especially COMMON SENSE, rays of truth in a human world filled with myths and deceptions. This entry was posted in common sense, education, globalism, science, society and tagged arguments, common sense, compromise, confrontation, conviction, dogma, education, globalism, ideology, science, society, the truth about confrontation, violence on October 22, 2014 by uldissprogis.